Smartphones, laptops, tablets, phones, Smart TVs, game consoles and more - all being connected at the same time. 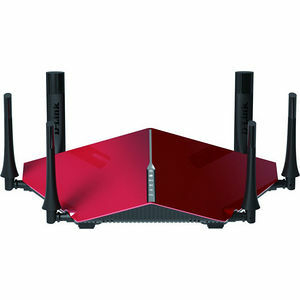 That's why we created the new AC3200 Ultra Wi-Fi Router. With Tri-Band Technology and speeds up to 3.2Gbps, it delivers the necessary ultra-performance to power even the most demanding connected homes, making it the best wireless home router for gaming.